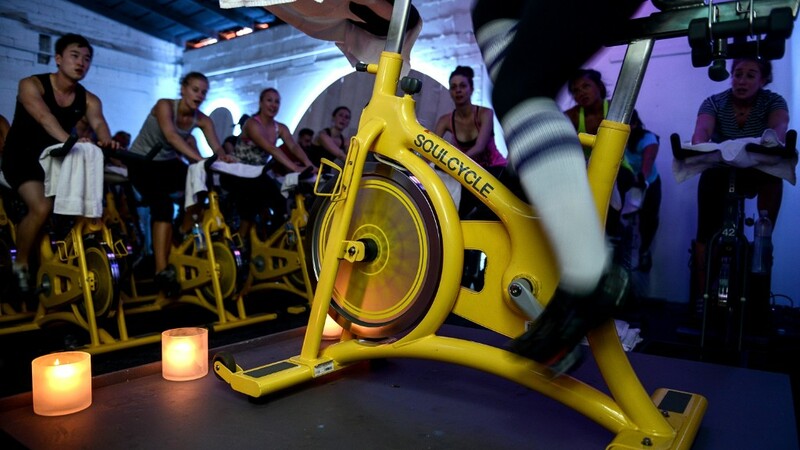 SoulCycle, the boutique indoor cycling company, has given up on an IPO. At least for now. The company formally requested to withdraw its SEC registration form on Friday citing "market conditions." It initially filed paperwork in 2015 to raise $100 million in a public offering. At the time, SoulCycle said it intended to use the money raised from the proposed IPO to pay off debt and open more studios. CEO Melanie Whelan told CNNMoney that the company doesn't "require public capital to execute our strategic vision at this time." "Our business continues to be profitable and we remain intently focused on driving sustainable, long-term growth," wrote Whelan in an email. "​We are backed by well-capitalized private shareholders who maintain a long-term view on the business." The backpedal away from the public market comes as SoulCycle faces new competition in what can be a faddish industry. Peloton, founded in 2012, sells stationary bikes that stream cycling classes -- and is rumored to be gearing up towards an IPO later this year. Lise Buyer, an IPO expert with Class V Group, says it isn't totally surprising that a company who filed its S-1 filings several years ago would decide to withdraw its paperwork to go public. "The longer they have been on hold, the higher the probability of pulling," she told CNNMoney. Founded in 2006, SoulCycle has amassed a cult-like following for its 45-minute indoor cycling workout in a dark studio. Classes are all set to party music. Since 2011, it has been majority-owned by Equinox. But it's also gone through some changes: SoulCycle said goodbye to its two remaining cofounders in 2016. The two left their roles as chief creative officers to pursue other projects. One of them, Julie Rice, joined WeWork in November 2017 as its chief brand offer. SoulCycle currently operates 87 locations across 15 markets in the US and Canada. In 2015, there were about 40 SoulCycle locations in the United States. SoulCycle has continued to innovate its offerings, though. It rolled out a custom-designed bike in 2017 that it has rolled out to all of its studios to make it more comfortable and adjustable for its customers. It launched SoulAnnex last year, a space to test off-the-bike classes led by its instructors, as well as new classes like SoulFundamentals, a 60 minute class with two instructors who provide hands-on help. Buyer said that pulling an IPO doesn't necessarily preclude the company from deciding to go public one day. "Pulling a deal doesn't really hurt future chances," she said. "... Most investors will consider the current opportunity and prospects. IPOs are about belief in the future."